After Franz Faul finished his apprenticeship in System Engineering at SwissRe he started working in the Middleware area. During his last Semester studying at the ZHAW, he is also working on his thesis in the ICC Cloud Lab. As the cloud is an emerging technology, the topic of data persistency is an interesting field of research. His interest are mainly in security, network communication and development. Michael joined ICCLab in October 2014. Michael obtained his Bachelor’s Degree from the ZHAW in June 2014 as a part time student. He has collected 5 years of working experience in the industry before joining ICCLab. At ZKB Michael has worked as a ICT System Engineer in the Unix Engineering Department. Currently Michael is working with Docker. Roger Niggli is a part-time student in the last semester of his IT Bachelor at ZHAW. Besides studying he works for a Zurich based Swiss bank where he will also perform his bachelor thesis with a work/study colleague. The bachelor thesis is a prototype of a self service portal based on OpenStack and puppet in banking environment. After Rafael Arizcorreta finished his apprenticeship as Application Developer at SwissRe, he started working in AssetManagement-IT and later on in Treasury-IT area. During his last Semester studying at the ZHAW, he is also working on his thesis in the ICC Cloud Lab. As the cloud is an emerging technology, the topic of data persistency is an interesting field of research. His interest are mainly in development, data persistency and transformation. Florian Dudouet is a researcher at the ICCLAB with a focus on performance measurement and optimization for cloud environments. His research interests are originally related to cloud interoperability but since being at the lab he had started working on Cloud Performance initially and is now currently part of the Cloud Orchestration initiative. He is currently working on the Mobile Cloud Networking FP7 project and the Solidna project. 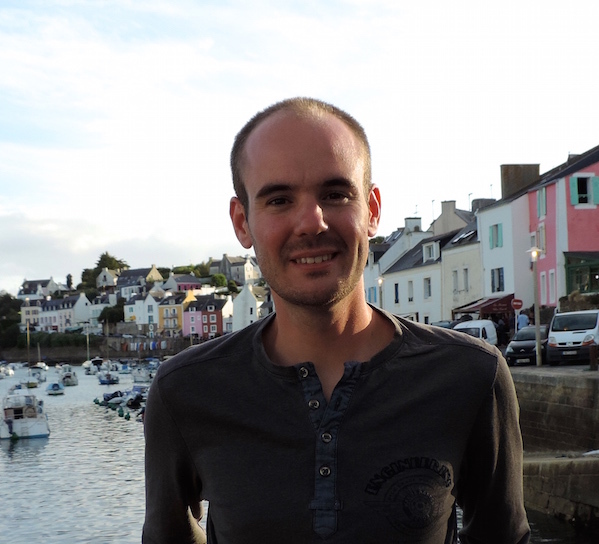 Before joining the lab, Florian was a research engineer with Inria in Rennes, France. He worked on open-source software forges as a part of the Coclico French project then went on to work on cloud computing as a part of the Inria Myriads team where he participated in the Contrail FP7 project, working mainly on the cloud-middleware tool called Virtual Execution Platform. In the course of this work he used open-source standards such as OVF and CIMI and worked with virtualization tools such as OpenNebula and OpenStack.